The P.E.I. 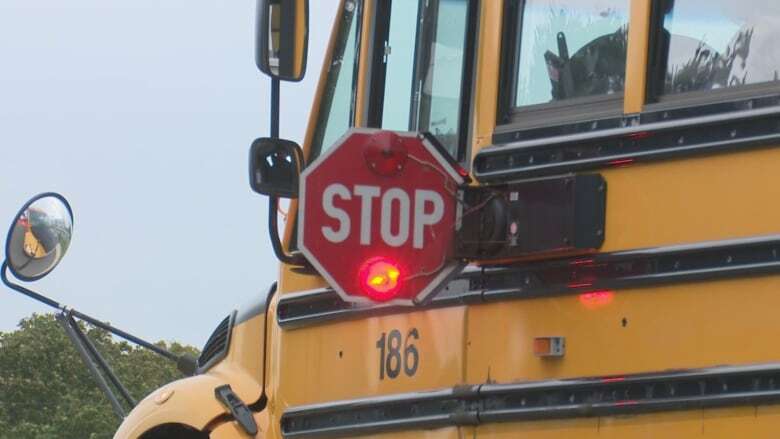 government has announced several new measures to prevent drivers from illegally passing school buses, in a province that already has the highest fines in the country for ignoring the law. Failing to stop for a school bus will also result in 12 demerit points and driver's licence suspension for three months, plus a $5,000 fine. "This means drivers who ignore this law are not allowed on Island roads," said Biggar. Previously, the punishment was typically a fine of $1,000 and eight demerit points, with maximum fine of $5,000. Those fines were already the highest in the country, according to a document tabled in the legislature by Biggar last November. The next highest were in Nova Scotia, ranging from $697.50 to $2,422.50. Second offences in Ontario could lead to a $4,000 fine and possible jail time. For a suspended licence on P.E.I. to be reinstated, drivers will need to meet with highway safety officials, pay a $100 reinstatement fee and take a defensive driving course within six months of getting their licence back. "We are taking all these recommendations seriously. We will be continuing to work with our police and education partners to implement strong solutions." "We all have a role in ensuring our Island roads are safe and keeping children safe on their way to school and we will continue to work diligently to prevent the dangerous passing of school buses on P.E.I."